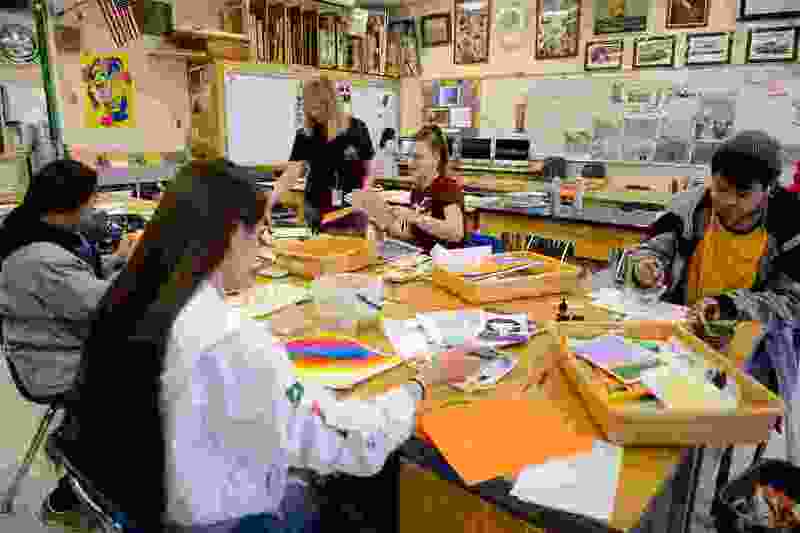 (Trent Nelson | The Salt Lake Tribune) Art teacher Cindy McKay works with students at Cyprus High School in Magna on Thursday Jan. 3, 2019. Really??? We need to do another study of why teachers leave the profession? It will provide us with the same results the other studies have given us. One result would be an increase in pay, at least a cost of living increase. Another would be smaller class sizes so it would become more about helping students and less about crowd control. Also, how about enough money for supplies to teach the students? In elementary schools, some teachers are buying crayons, pencils and other supplies out of their own pockets because the allotted amount goes to buy paper. How many times do we need to go over this list? As a retired educator of 32 years, I am saying wake up legislators and do the right thing for once.